1. Growth: If the City builds a new WRF/One Water Plant and can produce 80% of our water needs and has annexed the new site into the city, what will keep this city from growing to beyond the 12,200 arbitrary number? What will keep us from growing to 50k people? 2. What specific enforcement infrastructure is the Water Control Board considering? 3. CCC – What was the basis for the Coastal Commission decision? 4. Can the city modify/upgrade the existing plant to comply with the NPDES permit without triggering the need to obtain a coastal development permit? 5. Why is our “waterside” plant not allowed in its current location when Santa Cruz and San Francisco have their facilities close to the water? 6. Why can other sewer plants in CA be in flood zones near the coast? How can the coastal commission force us into this new plant? I believe they cannot!! 7. If sea level rise or a 100 year flood precludes leaving the present sewer plant (with upgrades) where it is, how could the city permit any large permanent structure such as a Holiday Inn at that location? 8. Will we lose the low cost WIFIA & SRF funds if we delay? What else can be done to lower cost? Will the WIFIA loan be granted if there is no recyclable water? 9. What would be the cost to Morro Bay if things could be worked out with Cayucos? 10. Will the City apply for a development permit from the county before or after it signs the design build contract? How will the citizens benefit from reclaimed H2O. Where will it be used? 11. If 218 results in a majority of No votes – what happens next? 13. What is the projected life span of the new plant? 14. Does the city have the authority to issue a coastal development permit for the new WRF at the south bay site? 15. The peer review group was very clear in insisting the new or renovated plant be located at or near the current location. How does moving our sewer plant 3 miles uphill make any financial or engineering sense? 17. A City councilman told us recently that the “Hanson site” (one of the 17 sites) and a portion of the adjacent Lila Kaiser park are outside of the FEMA 100 year flood plain map. Why can’t we build a new plant there? 18. Why not maintain the plant in its current location and pipe the secondary treated water inland to a small plant outside City limits where it could be treated to a tertiary level then stored in constructed wetlands (ponds) or used by farmers for irrigation? 19. Why not put the rates to a normal vote instead of relying on the Prop 218 vote? 20. Is removal of tertiary treatment from the project scope being considered? 21. The WRF Peer Review report “explored reducing costs at the South Bay Boulevard site,…Cost reductions included removing space for future public facilities, reduced odor control”. The WRF is to be located off Scenic Highway One so why take the chance of stinking up the air for visitors and residents? 22. Tertiary Irrigation – Eric C. Please expand on the tertiary irrigation component. Specifically, the need for it to be potable. How much potable irrigation water will be available and what are some of the other intended uses? My concern is unstopable growth. 23. Is there a danger we could overfill the aquifer with recycled water and cause flooding? 24. What is the exposure for the city to litigation by 3rd parties if it does not fulfil the obligations under the 2008 settlement agreement? Surfrider, Sierra Club, etc. 27. Leaking underground sewer lines (e.g. 60/40 line, etc.) have been identified for many years and are polluting the groundwater. Why hasn’t the City repaired or replaced these lines with the money approved in 2015? 28. Why is the city + City Council discussing another water + sewer rate increase when the most current rate structure (2015) still has 2 more annual increases in 2018 + 2019? 29. Why was current RFT written with incentive to builders that build expensive projects instead of those who built lower cost projects for communities like ours? 30. Can you describe how the RFP process works? 31. When can we expect the results from the RFP process to be public? 32. Why didn’t City have a public forum – like this – well attended meeting before almost all decisions have been made (i.e. $300,000 EIR)? 33. Two days ago City Manager Collins appointed a “Blue Ribbon Commission” to “evaluate costs and potential rate increases” for the proposed WRF. Three members are from the business sector and one previously in public finance. Why not just include residents with no ties to local businesses or some renters, homeowners, retired, and/or low-income residents. A League of women Voters representative would be great, and, will commission meetings be open to the public and subject to Brown Act. 34. How much will the city of MB have to return to Cayucos now that Cayucos won’t benefit from a new plant from the 2015 Prop 218 rate increases? 36. TSO What is a Time Schedule Order? What does it do? What if we failed to meet it? 37. Will the current plant be able to meet full secondary treatment once Cayucos is gone? 38. How is the Blue Ribbon Committee being selected? 40. Regarding Prop. 218 Vote: Please explain how many votes and who can vote when a person owns their own home(1 parcel) and multiple single family residences as rentals occupied by tenants who may or may not pay water. 41. Did Council ever ask staff to propose a project that could be funded by the 2015 Prop 218 rate increase? If so, where is it? 42. Hasn’t the city approved a Prop 218 vote for $75 million? 44. Question for MBCC Meeting 4/25/18 Many Morro Bay citizens think the South Bay Blvd. design will be much too expensive. They are struggling to pay their present sewer bill. Why have the city leaders abandoned refitting our existing sewer plant at an affordable cost? Are you aware that the Coastal Commission has a new policy that will allow design waivers based on economic hardship? 45. Please explain why there is no public comment at the beginning of this MBCC Special Meeting? 46. What will the Council & staff do differently (from the last 5 years) to ensure this project will be managed in a way for minimal cost impact to the city rate payers? 47. The WIFIA loan provides 49% of the total cost or 82 million dollars, where will the remaining 51% come from? 48. If the city cannot provide a full accounting of the money raised/spent from the increases of 2015, where has the money gone, and why should the residents of Morro Bay be expected to approve another round of increases? 49. the project has been split into 3 smaller pieces. How can rate increases be computed when the actual cost of each piece is not known? 50. Why was the RFQ on financials set at requiring (2) – 89 million dollars projects? 51. Can you give me your current water recylce plan as it pertains to recharging wells? What wells, gallons recycled? 52. Is San Luis Obispo building a water reclamation project? What if San Francisco or Santa Cruz required upgrades to their sewer plants – Do you think that Coastal Commission would oppose it? 55. Please give us your specific water recycling well recharging plans, timeframe and gallon quantities. 56. The statement was made that the application for upgrade & expansion made to Coastal Commission was denied. Now that Cayucos is doing their own plant, the volume of influent will reduce dramatically. Did the CCC deny the project due to expansion or due to necessary upgrades? Has the city explored challenging the CCC ruling now that Cayucos is not participating? How can the CCC force moving the site when volume is no longer the issue, just water quality standards, which can be done with upgrades of equipment? 58. Why isn’t someone from Coastal here tonight? 59. What are the reasons and benefits to the community for recycling and reuse of the wastewater given the cost when we have state water, local wells and the Brackish water/Desal plant? 60. Hello, will the city apply for a development permit from the County before or after it signs the design build contract? 61. Growth Cap & Capacity Will the proposed new WRF increase the 12,200 population cap set by initiative and based on existing resources? If so, by how much? What do you expect the new growth cap to be as a result of reclaimed water? 62. 1. How many other cities in CA that are the size of Morro Bay have such a expensive water treatment facility 2. How much is the cost of the water treatment facility without the water reclamation? 63. If Cayucos is moving out why couldn’t MB’s current plant satisfy CWB effluent caps? 64. If a higher quality of water is required to get a discharge permit, can that quality of water be met from the plant we have now? 65. If the 2017 Water Monitoring Report states the WWTP has no adverse effect on the ocean environment why is the CCRWOC Board considering fining the City of Morro Bay for polluting? 66. Why did the CCWRWQCB take the liberty to respond to a citizens concerns about the validity of WIFIA loan and copy MB City staff? The city was not copied on my original inquiry. Why does the CCRWQC think it is OK to add others to my private inquiry of chairman Wolff Does the CCRWQCB have an opinion on the City of Morro Bay WIFIA Letter of Interest and the accuracy of the representations? Was the agreement between the City of Morro Bay & the CCRWQCB published for public review? We want to know what the agreement says. Please provide that document for public review. Does the CCRWQCB know of towns being without water? Are cities running out of State water? 67. The current project calls for pumping a huge volume of influent 3 miles uphill to the new plant. What is the daily cost of electricity to push all that water uphill? 68. Does the cost of the new plant as identified in the RFP include the cost of yes or no 1. Recycled water? 2. Lift station design? 3. Lift station construction? 4. 3 miles of piping? 5. The injection well study? 6. Injection well construction? If the new sewer plant does not include recyclable water at startup will the EPA WIFIA loan be granted? 69. The “time schedule order” issued by the water board shields the city from fines and litigation. If the TSO is withdrawn or expires, what is the city’s exposure to fines and litigation costs? 70. What is the cost per acre-ft of the 800 af of reclaimed water? What is the value of the 800 af of reclaimed water based on state costs? Why not offset the cost of the new plant with the value of selling the property to a developer? 71. Packard – what potential fines does the city face if the city does not comply at a waste water treatment plant in a timely manner? 72. How will the value of the plant be calculated if Morro Bay stays and uses the 40% Cayucos ownership? Wouldn’t Cayucos value go up a lot if this facility continued in use instead of being demolished? Would Morro Bay buy out Cayucos interest if we stay beyond 5 years? 73. Explain why just a “reduction of flow” does not ensure compliance to the new NPDES permit. 74. Can the city keep operating the existing plant and just pay the fines indefinitely? Isn’t this cheaper than paying for a new plant? 75. If Morro Bay stays at the current site beyond the 5 year timeframe will Cayucos still share the cost to demolish the existing plant when the time comes? Will Morro Bay have to “lease” the Cayucos share of the plant to stay there? 76. Will the new plant be less expensive to operate than the existing plant? 77. When the peer review group was asked how they could reduce the cost of the South Bay site, their first response, per City staff, was to leave it where it is or close to it. Why did the Council say the South Bay site was the peer reviewers “preferential” site? 78. There is a lot of misunderstanding of how the monies from the 2015 Prop 218 was to be spent. What was the purpose of this proposition and where is the money currently being spent? 79. Since only one (s) vote counts during a Prop 218 protest How will the City count the votes? Will the City count the first vote into City Hall or would the parcel owner vote be viewed as more important than a renter who may also vote for the same parcel? How will the votes be weighted? 81. when are you going to start the 218. What will you want on this ballot? 82. If the Coastal Commission demanded that you drop $60 million off the project to make it affordable for the community, what would you immediately change/drop? 84. I would like to know what each Council member would see as a cap on maximum rate that can be tolerated by the average household in Morro Bay. Please be specific – a $ amount. 85. 1. If the city fails to come into compliance with the Regional Water Quality Control Board’s order to meet secondary discharge standards by the due date, what actions will the Board take – What specific action – in what order? 2. If fines are assessed, how will they be assessed? – How will they be collected? – Is there a cap on total fines that will be assessed? 3. If City voters reject a Prop 218 rate increase this summer to pay for construction of a new Water Reclamation Facility, how will the Board react? 86. The City of San Diego included a Prop 218 ballot was use by residents. Will the City of Morro bay provide a ballot? It’s a strange type election. If residents ignore the ballot and take no action, they have by default cast a YES vote. A protest ballot is the only way to vote against the project funding, basically against the project. 87. What happens if the 218 process fails? 88. What happens if 218 doesn’t pass? 89. Questions: what is the city’s PLAN B if enough property owners protest – 51% to rate increases? What will the City do? 91. Will the City apply for a development permit from the County before or after it signs the design-build contract? 92. If the Regional Water Control Board is so concerned with local water shortage and salt water intrusion, why doesn’t it harvest the water from the Morro Canyon Creek – in short a Whole Rock type dam at the top of Morro Canyon? 93. With the current plant and distribution lines coming to North Morro Bay, besides neighbourhood concerns, why were sites along hwy 41 rejected? Seems like there a lot more costs to move the plant in South Morro Bay. 94. Does a sewer plant hold a bigger concern to the CCC then a public high school? 95. Question: Why are City officials now worried about costs when citizens have warned Council all along? 96. We know Mr. Irons told Coastal Commission we did not want to stay in the current site when Coastal Commission said it would consider. Stop lying. You looked at other sites. You never looked at different plants to reduce costs. Your WIFIA loan apply required reclamation yet we don’t have a place to deposit this volume of water and it will go into the ocean. Why do I need to pay for this? 97. What are your expected JPA (Cayucos partnership) dissolution costs, and how will this cost impact current project? 99. Question: Why did the city purposely eliminate the smaller cost-effective construction companies that wanted to compete to bid the job? 100. What is the possibility of building out of pocket a second clarifier without a Coastal Commission permit? 101. 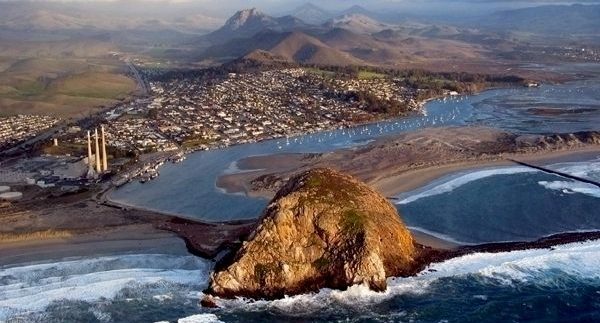 Water recovery is an admirable goal for the City of Morro Bay which heavily relies on relatively expensive water from the State of California. Projections are that the proposed WRF would enable the city to recover ~500,000 gal/day of tertiary treated water at a cost slightly higher than the current state water price. This sounds like a reasonable expense as state water prices are likely to increase in the future, particularly if the “Delta Tunnels” are built. The question is “What is the city going to do with all this water “not currently fit for human consumption”?” The clay-like soil underlying the Morro Valley aquifer may only be able to handle ~20% of the purified water. Are they going to pump the excess, expensive water back into the ocean? We are told that it is too expensive to pump the water to Whale Rock reservoir and back again or to pump it to Los Osos, which desperately needs more water to make their double-sized sewage treatment plant to operate efficiently. The water is too expensive for agricultural purposes. Would it not be wider to obtain hard answers about the water before building a largely useless water recycling facility? 102. WRF Peer Review Com. With local city engineers and operators concluded that the WRF the water/sewer rate was unaffordable by residents. They stated: “7. The proposed combined water/sewer rate of $250/month is untenable in the context of average Citywide household income of $50k – about 6% of annual income, which is higher than the EPA’s affordable index (4.5) Note: The panel assumed the EPA Al was 3%. It is reasonable to expect a reduction will be required to make this project more palatable to the public. 104. Of the 17 sites considered for the WRF, only 1, referred to as “The South Bay Boulevard site” was in the Morro Bay Estuary watershed. Since the financial health of the City of Morro Bay is intimately tied to the vibrant health of the estuary and bay, how could the City of Morro Bay and, also the California Coastal Commission, allow a sewage treatment facility with its large, pressurized raw sewage pipes to be located in such a sensitive, risky location? After all, there were at least 16 other sites that would not jeopardize the future of Morro Bay. 105. Questions: Why is the site layout shown on Figure 2-4 in the recently release draft EIR for the proposed Water Reclamation Facility so drastically different form what was previously shown on Figure 7-5 of the Facility Master Plan? The recently released draft EIR does not suggest much innovation regarding project concepts. Being that the city is pursuing federal funds under the Water Infrastructure Financing and Innovation Act, shouldn’t the draft EIR present more innovative alternatives such as modifying some of the existing collection system to minimize pumping? Why is the city acquiring so much land greater than what is required for the proposed facility? What will become of that city-owned excess land? Except for the cost of the proposed facility at South Bay Boulevard, on which the city is waiting, what is the total estimated cost of all the other project components such as the lift station, pipelines and injection wells? 106. Note: The following questions refer to a March 5, 2018 letter from the City of Morro Bay to Salud Carbajal regarding “Morro Bay Federal Concerns and Priorities”. The first page of the letter was included in the package of questions published by the City, but not included was the page containing the material cited in the questions below. During the City of Morro Bay’s Council meeting yesterday, on April 24, 2018, Councilman Headding indicated that no figures have been disseminated as it pertains to the cost of the WRF plant nor the increase in cost to the citizens on a monthly basis fir sewer/water because the figures had not been finalized. If that is the case, why did a letter, created on March 5, 2018, to Honorable Congressman Salud Carbajao, page 2, specifically state: Water Reclamation Facility: (copy attached) > New Water Reclamation Facility to replace 65-year old Morro Bay-Cayucos Waste Water Treatment plant > Fully operational by 2021 > total project costs estimate at over $150M > Residential water and sewer rates cold be over $247/month or higher with conventional bond financing >Seeking Federal funding assistance If our City leaders are telling the government agencies one thing and the citizens another; especially the businesses and citizens who will be responsible for the reimburse of loans for the construction of a WRF… Where is the truth and transparency with respect to the funds already collected from the 2015 Proposition 18 sewer/water rate increases?